Gambling is a favourite pastime for a lot of people, offering an exciting and fun way to spend some time in a casino. Some people prefer to gamble in traditional brick and mortar casinos, enjoying a night out as a couple of with a group of friends. Others prefer to gamble at an online casino, with a more extensive games selection, higher payout percentages and casino welcome bonuses compared to their offline counterparts. What are the 5 most popular online casino games? The number of different casino games you can play on the internet or in brick and mortar casinos is astounding, and that calls for a top 5 of most played online casino games. Are you curious with which games gamblers are scratching their gambling itch? Continue reading and find out what the most popular casino games are. 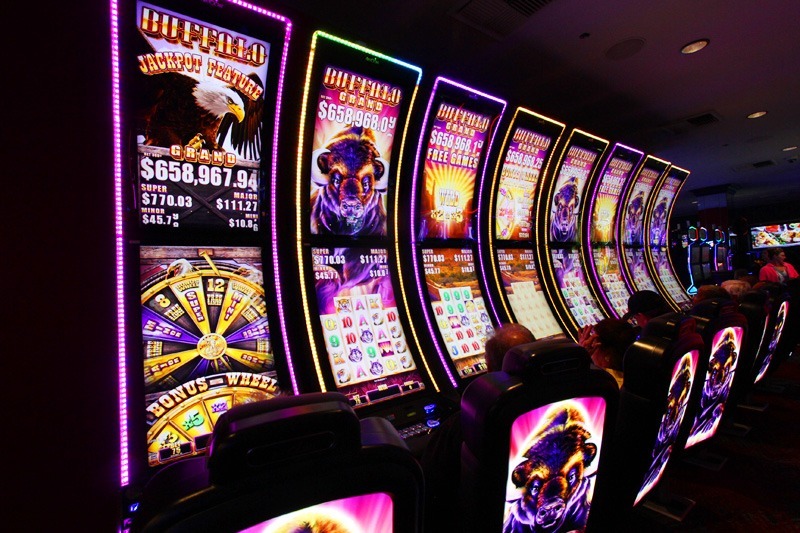 Pokies or slots are without a doubt the most popular casino game. They can be found in endless varieties and themes, including mechanical reel, video reel, multi-reel and progressive jackpot pokies. In the past 20 years, pokies have evolved from simple, one reel “one-armed bandits” to elaborate video pokies with 50 or even a 100 pay lines, entertaining bonus features and exciting themes. Thanks to today’s technology, there is no limit to what software providers can do with their releases to keep casino players satisfied. There are even Virtual Reality pokies that give a whole new dimension to playing slots. If you choose to play online slots, you will find the payout percentages are a lot higher than on offline slots. As a result, our top 10 of best-paying slots is filled exclusively with online slots. Some of the most popular online pokies include Big Bad Wolf from Quickspin and Vegas Nights from Pragmatic Play. A big trend in online slots of the past years has been the increased popularity of high variance slots. These slots can pay out insane amounts, ranging from 10,000 x your stake up to a staggering 100,000 x your total bet. Megaways slots are a very popular kind of high variance slots, with increased ways to wins and almost unlimited potential. Roulette takes the firm second spot on our top 5 of most popular casino games. In every big casino on the Las Vegas strip or in Macau, you will find several Roulette tables, and they are usually packed with players. Online Roulette is just as popular and is offered in several varieties, including European Roulette and American Roulette (also known as Double Zero Roulette). European Roulette is single zero Roulette and has a low house edge of 2.7%. Roulette is played on a Roulette wheel which has 37 numbers on it, ranging van 0 to 36. The 0 is green, while the other numbers or either red or black. You can bet on a single number or a combination of 2, 3 or 4 numbers. It is also possible to bet on the colour, odds or evens or rows or columns. Roulette is easy to learn and offers players the chance to bet on both low paying (1:1) and high paying (35:1) bets. Roulette is often featured in gambling-related movies or tv shows, which has also added to the enormous popularity. If you plan on playing Roulette at an online casino, you have the choice of automated Roulette games or Live Dealer Roulette. Live Roulette is played on a real Roulette table with live dealers. Through live streaming pictures, you can place your bets live and see the results in crystal clear quality. Lots of players choose to use one of the many Roulette strategies when trying to beat the casino. In third place, we find the beautiful card game of Blackjack. This is a popular game which is played against the bank. It is one of the few casino games where the choices that the player makes have a direct effect on the outcome of the game. If you use perfect Blackjack strategy, the house edge of the casino on Blackjack is only 0.5%. The aim of the game is not, as some sites suggest, to come closest to 21 without going over, but to beat the bank. Whether you want to play a house game of poker with friends or go against other players at a casino, poker remains one of the most played games in casinos. Poker is an intricate game where skill is just as important as luck. There are several different pokes games, such as Texas Hold’em, Caribbean Stud Poker and Omaha Poker. 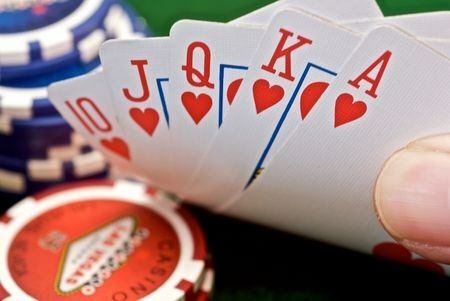 The most popular poker game is undoubtedly Texas Hold’em, where players each receive 2 cards. There are also 5 communal cards that can be used by every participating player. Another popular poker game is Video Poker, which comes in dozens of variations. The object of video poker is to form the highest possible hand by discarding the right cards. The highest winning combination in Video Poker is the Royal Flush, which pays out 800-1 on most Video Poker games (with max coins bet). Just like Blackjack, using the correct Video Poker strategy when discarding cards have a significant effect on the house edge. Keno is another favourite casino game that is played at both online casinos and offline casinos. Keno has some similarities with Bingo, as numbers are drawn, and prizes are won by getting certain combinations. The most significant difference between Keno and Poker is that Keno is played against the casino and not against other players. Players choose up to 20 numbers on an 80 number grid. Up to 20 balls are drawn and the more numbers you hit, the higher your payout is. Most Keno games pay out a whopping 10,000 x bet when you hit all 20 numbers on your card. The high payouts, fast games and low bet size are the most prominent draws of Keno. The house edge is very high, though, and can go up to a massive 30%, putting players at a significant disadvantage compared to other casino games.